Provide comfort for the family of Marian Komorowski with a meaningful gesture of sympathy. Marian Komorowski passed away peacefully with his family at his side, on Monday, December 24, 2018 at St. Joseph’s Health Centre in his 61st year. Beloved husband of Anna. Loving father of Magda and step-father of Mark. Dear brother of Edward (Ula), Ewa (Alek) and Henia (Andrzej) all of Poland. He will be missed by his family and friends in Canada and Poland. Visitation will be held on Thursday from 6-8 p.m. Funeral service on Friday at 10 a.m. in the chapel. Burial to follow at Park Lawn Cemetery. Dorota and Magdalena Komorowski purchased flowers for the family of Marian Komorowski. 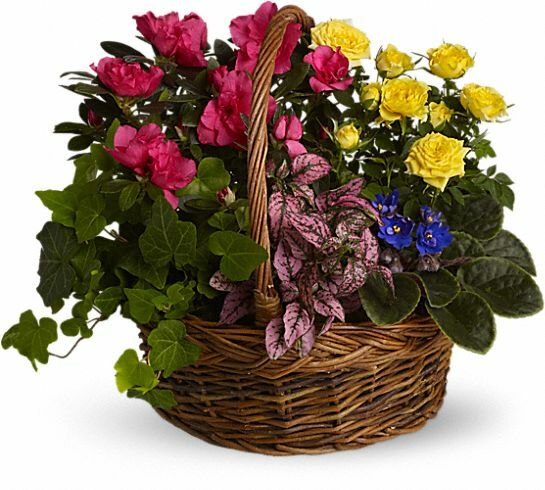 Heartfelt Sympathies Store purchased the Blooming Garden Basket for the family of Marian Komorowski. Doug and I offer our deepest sympathy to Anna and family. Mark was such a happy-go-lucky guy, always had a smile on his face when we saw him at Mohawk. Cherish the special memories and know that he now beyond pain. He will live forever in your hearts. Love and best wishes, Doug and Nan Fawcett from Kemptville, Ontario.